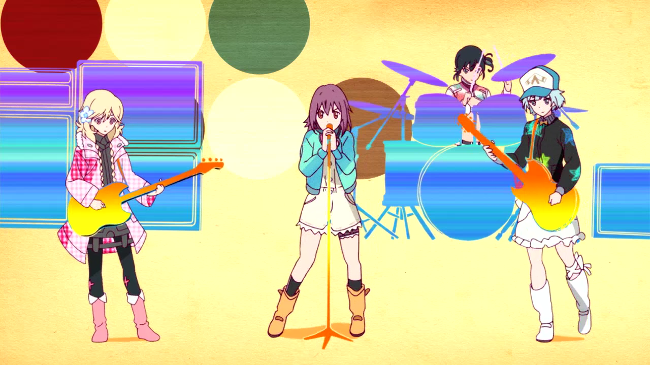 Expect A Few More Blue Hearts Covers as “Rolling Girls” Insert Songs (Updated) – Nigorimasen! I’m watching a handful of new anime this winter season and the one that has impressed me the most so far has been Wit Studio’s The Rolling Girls. Its visuals are very colorful and its vocal songs (OP/ED & inserts) are catchy, too. The thing that caught my attention when I looked more closely at the credits is that those songs so far are all covers of tracks by ’80s & ’90s Japanese band The Blue Hearts. The Blue Hearts’ most recognizable song in the West is likely their 1987 hit “Linda Linda” since it has been featured in other media after its debut including the 2005 film Linda Linda Linda (here’s an English trailer), wherein a high school girls’ band plays covers of Blue Hearts songs. That movie was released on DVD stateside by Viz Pictures in 2007 but I think it’s currently out-of-print. There’s a song collection CD with an April release date that claims to feature five cover songs from the show so there should be at least three more debuting in future episodes. 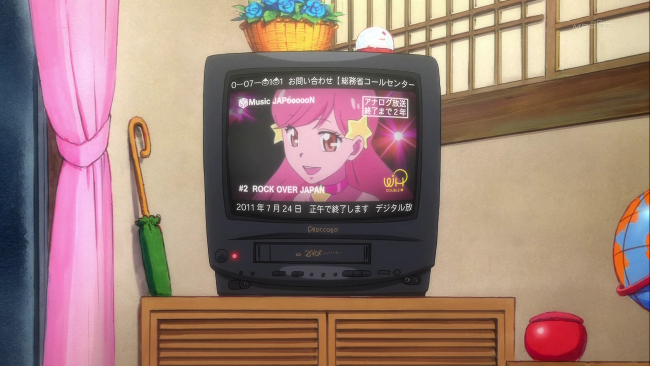 Rolling Girls isn’t unique in using voice actors’ covers of older Japanese songs – the ending theme for Maria Holic season 1 was a cover of YMO’s “Kimi ni Mune Kyun” and Penguindrum had many covers of ARB songs including “Rock Over Japan” (aka the SEIZON SENRYAKU theme). Tagged Anime, covers, music, The Blue Hearts, The Rolling Girls. there was this bgm in ep 4 (when the girls were trying to prevent the roomba from exploding) that has a nice edm kind of tune. i hope to get the title of it! thanks for this post. now i know the other song titles! Thanks for the breakdown of the The Blue Hearts songs! Been a fan of theirs since hearing “mirai wa bokura no te no naka” in the Kaiji OP.